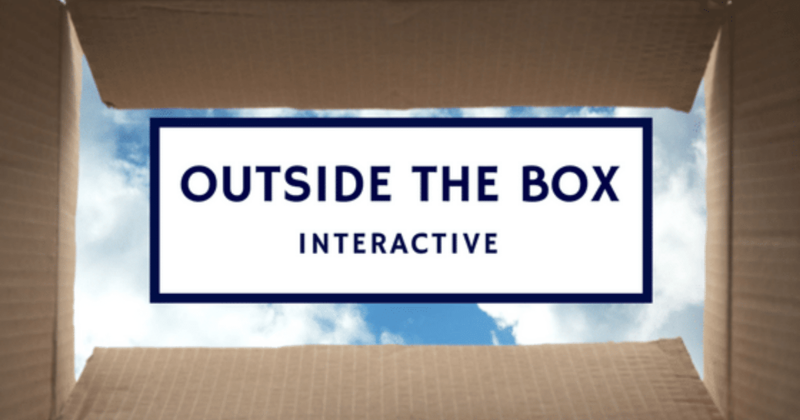 Last week, Outside the Box hosted OTB Interactive, a five day event in Boston Common centered around celebrating innovation in the local Boston area with parties, opportunities to compete for seed funding, and Capital One “Boston Reimagined” — a three-day innovation summit that brought together influential and innovative minds to offer their advice and experiences to local entrepreneurs. Noteworthy talks included ‘Dirty Words: Consumer Tech’, a panel exploring the stigma surrounding East Coast consumer tech and what Boston is doing to transform its reputation. The panel was led by Sara Castellanos, Technology Editor of the Boston Business Journal, and featured Nick Rellas, CEO of Drizly, and Jordan Fliegel, Founder and Board Member of CoachUp. Does New York Worth Ethic Trump Boston’s? The talk consisted of contrasting attitudes towards the Boston consumer tech scene between Rellas and Fliegel, specifically around topics related to seed investors and entrepreneurs seeking to thrive in the Boston startup ecosystem. Rellas noted the differing tech scenes between Boston and New York — “People in New York are climbing the ladder, they’re coming into the office early and leaving late, whereas Boston lacks that work ethic making it an unviable environment for tech startups and entrepreneurs to thrive.” Alternatively, throughout the talk, Fliegel seemed to be pretty optimistic about Boston’s entrepreneurial community, noting the numerous schools in the greater-Boston area which provides loads of attractive young talent, as well as the growing presence of VC money. Don’t always follow the herd: There are other places than New York and San Francisco! Regardless of the contrasting views heard during the panel, Rellas and Fliegel’s experience with basing their companies in the Boston did surface some commonalities. For one, both agreed that Boston is often unfairly overshadowed by New York’s consumer tech scene, causing new additions to Boston’s startup ecosystem to go unnoticed by the media — even the successful ones. Patience is a virtue: Boston may not be the “place to be” but it is a place to start! With money comes responsibility: Take advantage of Boston as an investment hub to acquire funding! At the end of the day, despite not being the face of the East Coast consumer tech scene, Boston continues to be a hot pot for startups looking to raise money, acquire early users and attract talent. Entrepreneurs, what are your thoughts on building a startup in Boston? Are you committed to keeping your business here? We’d love to hear from you! 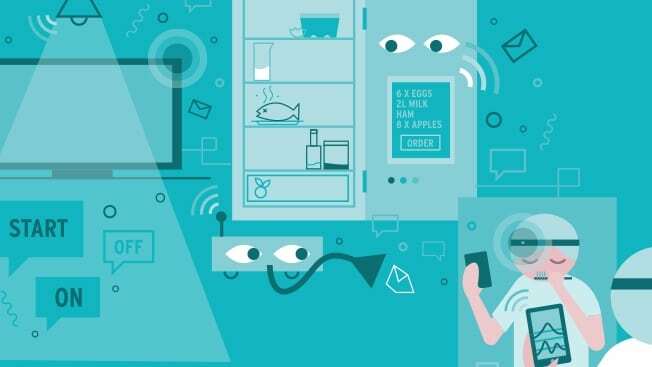 Another talk, ’My Refrigerator Understands Me: The Internet of Things’, explored the emergence of the Internet of Things (IoT) and how it is impacting the way that we live. It was led by Chris Rezendes, Founder and Managing Director of IoT Impact Labs and featured Pete Karns, Jeffery Kaplan, Freedom Dumlao, and Rich Caplow. The talk focused on how the remarkable technological change that the Boston area has experienced over time is making the local tech ecosystem a unique one. The speakers also provided some compelling tips on the importance of the rise of the Internet of Things. A powerful tool in bettering one’s business: Data! Harness. Understand. Exploit. Chris Rezendes explored the value of unstructured data and the importance of sifting through that data to see which parts of it matter the most in order to be harnessed, understood, and exploited. Data analytics for Samsung TVs were mentioned as a prime example. Its internet capabilities have made immediate connectivity between customer support and the TV possible, making it easier and faster for customer queries to be fulfilled and for problems to be diagnosed and fixed faster. Jeffery Kaplan, Managing Director of THINK Strategies, Inc. added to this point, noting the importance of translating connectivity into real value for customers. During the panel, Rezendes threw this question out, generating responses from the panel that demonstrated the uniqueness of Boston’s tech scene. Rich Caplow, VP of IoT Solution Management discussed how the nature and work ethic of Boston’s tech scene separates it from others — for him, it’s about taking talent from areas of innovation, not necessarily tech hubs. Caplow discussed the growing desire amongst Boston’s entrepreneurs to advance technology but also create a positive environmental impact. There is a pragmatic approach taken on the East Coast to solving problems, whereas on the West Coast, there is a pragmatic sense for doing things to make money. “It’s about doing good things for the right reasons and producing tangible results,” said Kaplan. All in all, OTBi reinforced one thing: there are some pretty amazing things going on in Boston’s entrepreneurial community.